Bob was a pilot in the 317th TCW, 39th TCS, at Neubiberg AB, Ger. in the 1950's. 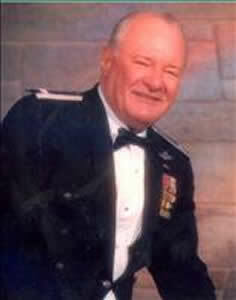 Col. Robert N. Pinard, U.S. Air Force (ret.) of Destin, Fla., passed away, at age 78, on Feb. 15, 2010. Col. Pinard, a highly decorated veteran of Vietnam, was born in Dobbs Ferry, N.Y., attended Miami High School and the University of Florida. He joined the Army Air Corps in 1952. He was stationed in Munich, Sewart, Rhein-Main, Dyess, CCK, Taiwan, Tachikawa, Japan, Bangkok, Thailand, Little Rock, Na Trang as SOS squadron commander, Kadena Okinawa as SOS squadron commander and lastly, Hurlburt Field, Fla., as Deputy Chief of Maintenance. After retiring in 1981, he worked for Southern Air Transport, the Ugandan Government and Air Afrique. After retiring from flying he enjoyed sports, boating, traveling, playing cards, reading and "squeezing the juice out of life." He is survived by his loving partner, Brenda York; his son, Bob Jr. (wife Cindy); son, Douglas (wife Diane); stepson, David Hendricks (wife Guyla); 17 grandchildren; and 13 great-grandchildren.